Lack of motivation, dissatisfaction with performance appraisal, lack of engagement and minimum interest in learning and development activities are the results of an ineffective and inefficient performance management system. Due to these problems, the performance of human resources in particular and the organizational performance in general are affected. Therefore, there is a need to develop an effective and efficient system of performance management. A new trend of using video game mechanics has emerged during last couple of years and has been applied in various fields successfully. This is known as gamification; it involves the use of game designs and game mechanics in order to perform various tasks and resolve problems. Rewards, status updates, levels, bonuses, points, countdown, discovery, progression and feedback are some examples of game mechanics. These mechanics are used for motivating, engaging and earning the loyalty. These mechanics can also be used to deal with the problems of performance. It is believed that if applied effectively gamification can be more effective and efficient than existing techniques of managing performance of human resources. 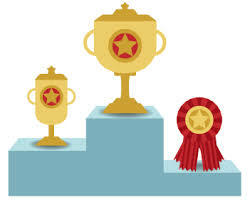 they are awarded with points, badges and goes levels up; these awards give them sense of achievement. The next tier of needs is self-actualization; in order to meet these need people want to explore their self and creativity. Strategic games give a good chance to players to prove their creativity and problem solving ability. Continuous feedback is an interesting game mechanic. For every action of the players feedback is immediately provided. If players play smart moves in games they are awarded immediately. On the other hand if they make mistakes they will be informed at the same time, furthermore, they are given chances to correct their mistake. Feedback mechanism of games may be very beneficial for businesses, as it gives continuous output to the employees on where they are standing in terms of performance. Continuous feedback when compared with yearly performance evaluations is found to be much more effective in terms of improving employee performance, engagement, development and is even more transparent. 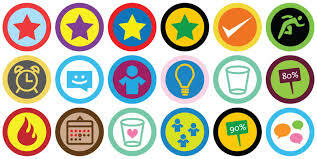 Gamification: An interesting way to train people and to improve the process of learning and development. Although organizations arrange trainings for their employees in order to improve their skills, but it has been observed that training sessions do not prove to be as fruitful as anticipated. Feedback is not frequently provided to the learners and participants of trainings. Furthermore, things are just explained to the participants and they are not given a real chance to participate actively. Information and knowledge is transferred in a boring manner. Resultantly participants do not take interest in training; they just attend training as a formality. Gamification comes forward as a viable solution to make training and learning sessions more effective, interesting and fruitful. Games have five elements which are helpful in improving learning. These elements are: competition, focus, immersion, continuous feedback and interactivity. In games, players compete with machines or with other human beings. They put efforts and skills to win the competition. Players interact with the contents of the game at first hand during the competition. They themselves play moves and take interest in everything which is happening in the result of their actions. During the competition, continuous feedback is provided to players, so that they can personally see where they are at the moment in terms of progress and what they have got in their hands. In general, games make the process of learning more fun and offer players to have firsthand experience by making them participate. 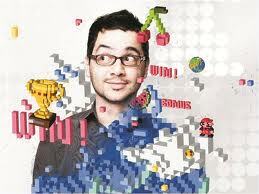 Gamification: A solution for the problems of engagement. Games have numbers of mechanics which constantly keep the users engage. These mechanics are used for engaging people in order to complete specific tasks and to perform such activities which they would not complete in normal circumstances. AIR MILES, an international rewards program, introduced a challenge called Check-in Challenge. This challenge is contested through a mobile phone application. It offers points every time someone checks in at the specified places. At the end of the month those who have more points are awarded. In AIR MILES’s check-in challenge users are engaged by rewards. This example of „Check-in Challenge‟ shows that by adding a layer of gaming to a service an ordinary challenge becomes more engaging and fun. If game elements are used skillfully, engagement may be increased to unprecedented levels. Reason is that game mechanics fulfill human desires, such as rewards, status, achievement, self-expression, competition and altruism. There are clear links between performance of human resources and organizational performance. Organizational profitability increases with the better management of human resources. Since organizational performance is dependent upon the performance of human resources, it puts focus on the need of improving performance of human resources, moreover, it highlights the importance of having an effective and efficient system of performance management for human resources that deals with the issues such as lack of motivation, dissatisfaction with performance appraisal, lack of engagement and minimum interest in learning and development activities Performance management by gamification is an effort to develop such a system which is based on high performance practices. It will deal the problems which cause low performance of employees. Therefore, it will contribute towards superior overall organizational performance. A pleasure to read and a page full of interesting ideas and information!